CRISPR (Clustered Regularly Interspaced Short Palindromic Repeats) has been creating a buzz in the scientific world for some time now. 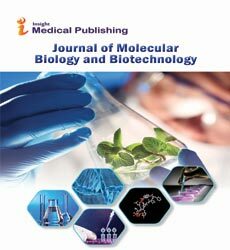 It has emerged as one of the most sought-after techniques of genetic manipulation that have revolutionized the gene editing methods, with the scientific community even referring to it as ‘future of medicine’. Even though the sequence repeats were identified in 1980’s, the field of CRISPR based gene editing really took off once the function of the repeats was demonstrated in a study showing acquired resistance against a bacteriophage in S. thermophiles . It was found that CRISPR locus integrates the phage genome fragment to confer resistance against the infectious virus hence, opening up the several possibilities in the area of sequence-specific targeted genome engineering. Since then, it has been reprogrammed and repurposed and its function has been assessed in a variety of host organisms and model systems including fungi, fruit fly, mice and human cells and cell lines. Two classes of CRISPR systems with various subtypes within them have been identified so far .